The DKN XC-140 is a sleek and stylish piece of kit. 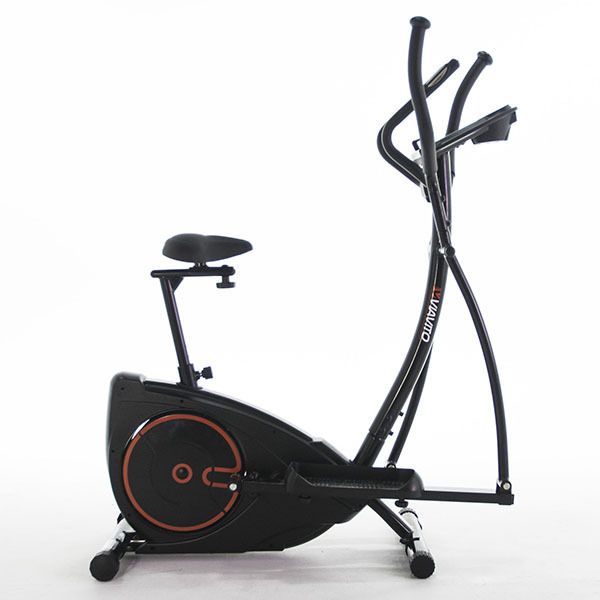 This cross trainer represents the top of the range of the rear drive cross trainer from DKN, a Belgium based brand that has built its reputation on high specification fitness machines that are both highly functional and also aesthetically pleasing. 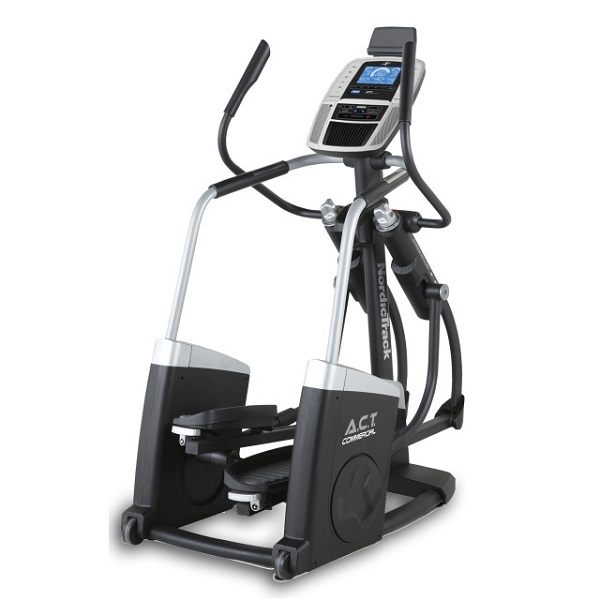 The XC-140 has a 17″ stride length, making the machine suitable for users who are up to 6 feet tall. So, the all important question: what does it feel like to use? 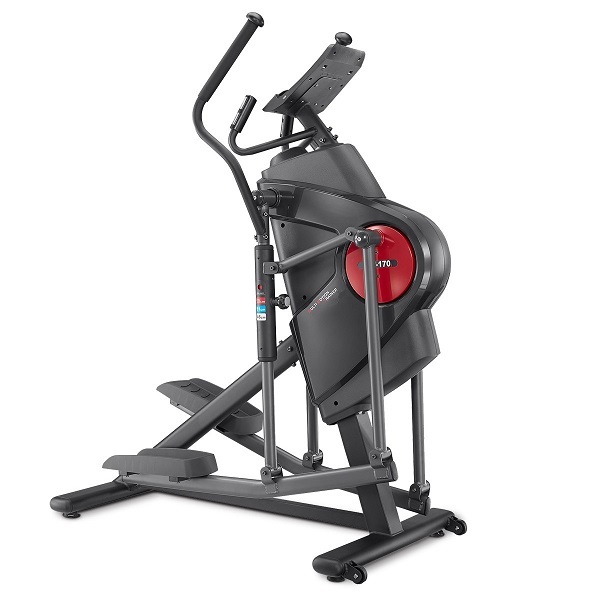 In short, the DKN XC-140 is the smoothest rear-drive cross trainer that we’ve tested. 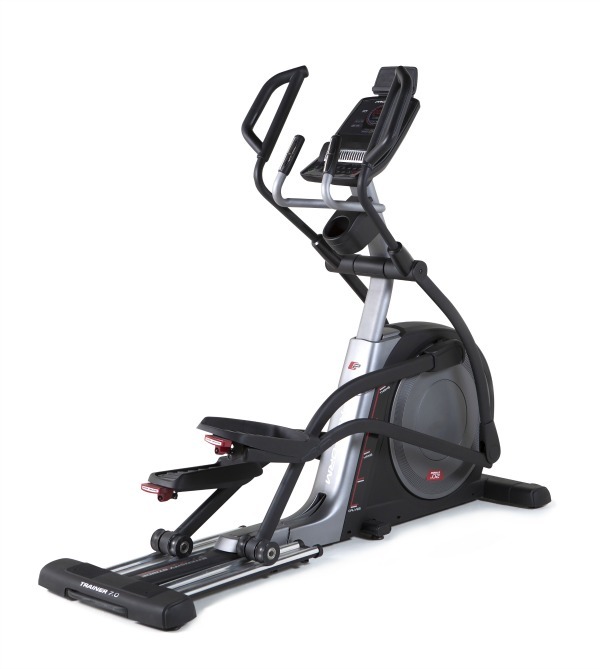 This is in no small part due to the hefty 14kg flywheel coupled with high quality components used throughout the construction of this elliptical cross trainer. Ultimately, in a cross trainer, it’s the feel of the striding action that really matters and on this front, the XC-140 delivers in bundles! 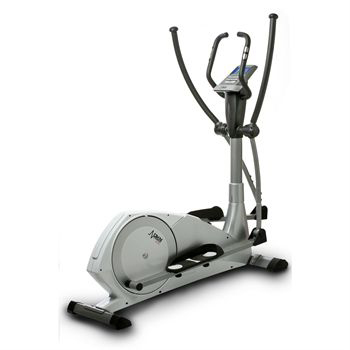 Unlike many, cheaper elliptical cross trainers, the DKN XC-140 is rated as an ergometer and as such offers a contant watt programme. 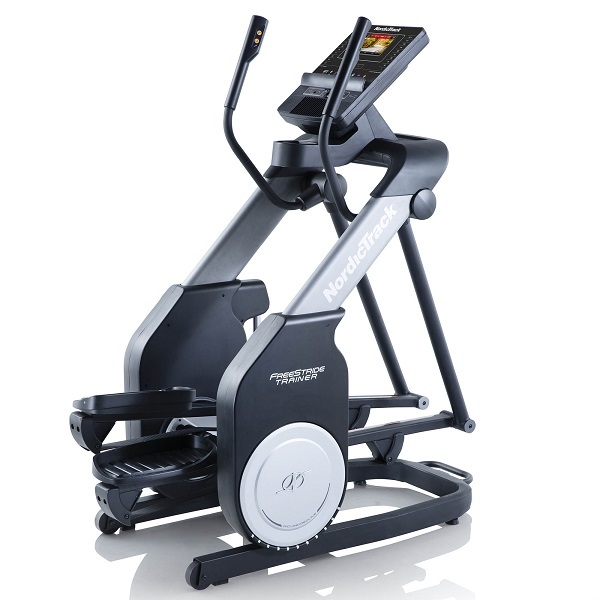 This enables you to select an intensity level of between 10 and 350 watts the cross trainer automatically adjusts the resistance taking the pedalling speed into account to ensure that the exercise intensity is fixed at the desired level. The two colour, backlit, LCD console is intuitive and simple to use. The display provides continuous feedback on all exercise metrics such as time, RPM, distance covered, calories burnt, speed and heart rate. 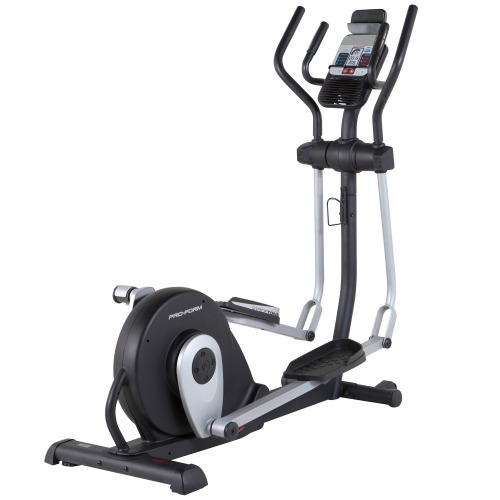 In manual mode, you can set a target time, distance or calories to burn and the console counts the relevant parameter down while you exercise at your own pace and desired resistance level. There are 12 pre-set programmes, each of which may have their duration set. For flexibility, there are user defined programmes, which are simple to program. 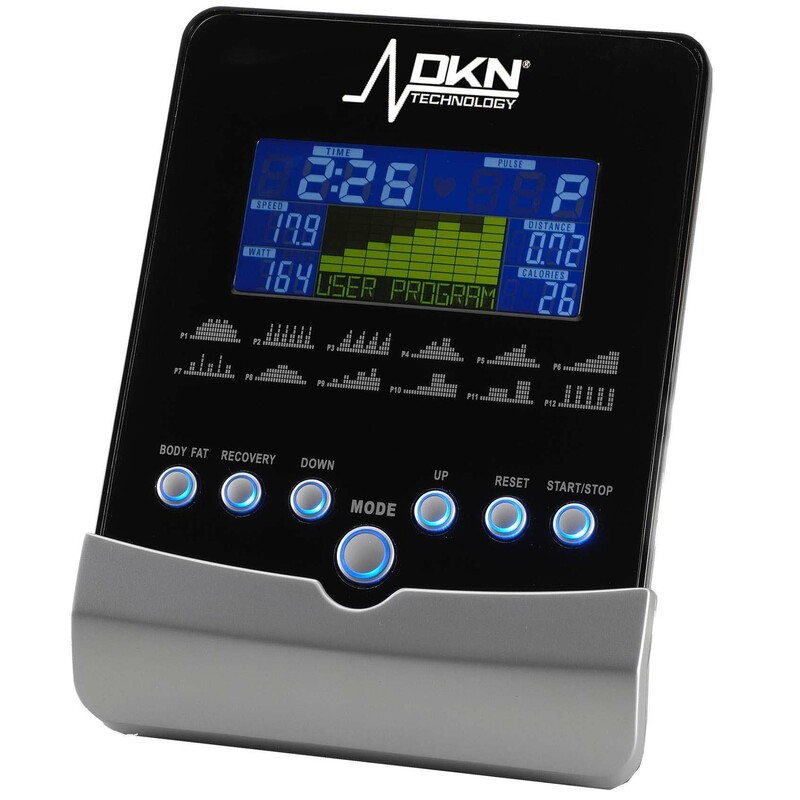 The DKN XC-140 also has a heart rate control function. In order to use this effectively, the optional polar compatible chest belt is required. You simply enter your age and select whether you’d like to exercise at 55%, 75% or 90% of your maximum heart rate. 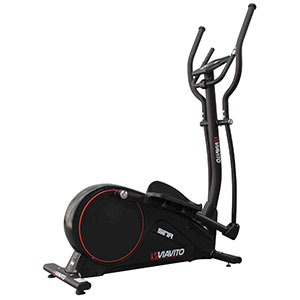 Alternatively, a specific target heart rate may be entered and once the heart rate selection is entered, you enter the exercise duration and press the start button. The chest belt transmits the heart rate wirelessly to the console and computer automarically adjusts the resistance every thirty seconds to try to keep you exercising with the target heart rate zone. The console also features a heart rate recovery test function accessed through pressing “recovery” button at the end of a workout session. This test monitors the rate at which your heart rate reduces towards your resting heart rate over a one minute period. Based on this, the computer calculates a fitness rating between 1 and 6 (1 being most fit). Whilst heart rate recovery tests such as this can’t provide the most sophisticated method of establishing your fitness levels, it does provide a long term motivation tool – seeing your fitness levels improving over time as a result of regular exercise on the XC-140. The DKN XC-140 is not currently available from any retailers we're aware of in the UK. 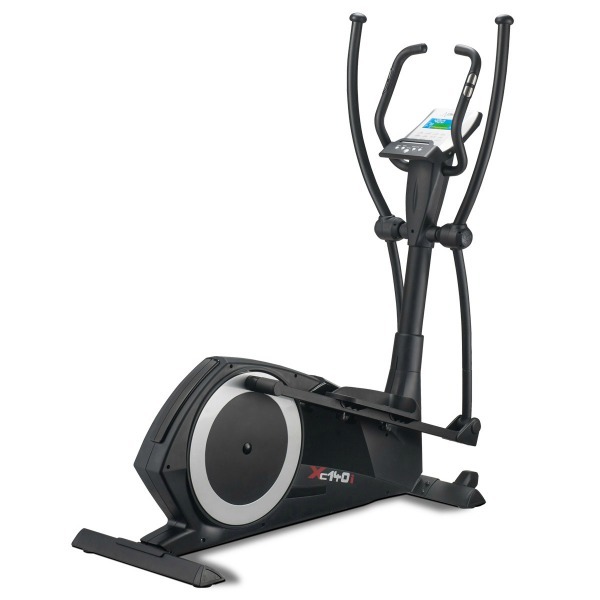 In summary, the DKN XC-140 has a decent 17" stride, smooth action and an easy to use console! 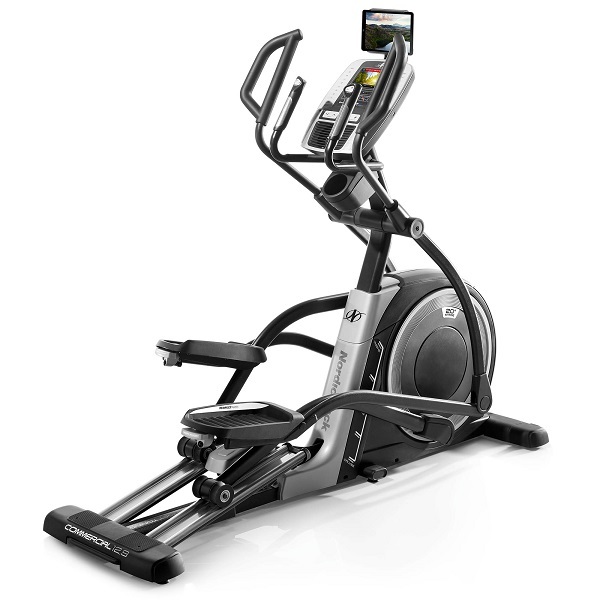 As a bonus, it looks great too - a very easy machine to recommend!